The modern workplace has evolved so much that the way we work and learn is almost unrecognizable compared to 20 years ago. The learning function must accommodate a constantly changing culture where learners perform multiple jobs with minimal preparation because of limited resources. We all could use more energy, staff, and money! This modern culture evolution also requires learning professionals like us to be constantly on point and provide immediately relevant content to our learners. All of these factors create a unique design challenge: we have to create programs that respond to the learner’s moment of need. The virtual classroom uniquely and effectively addresses several moments of learning need. It's an environment especially adapted to supporting learning something for the first time. When learning something for the first time, learners require collaboration, immediate feedback from experts, and guided practice. I can’t think of a better place than the virtual classroom to meet these requirements. 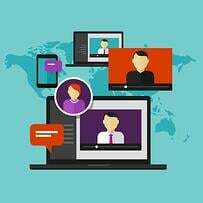 How does the virtual classroom fit into the modern learning environment? That’s easy: the virtual classroom perfectly delivers formal, scheduled, evaluated learning. It allows us to come together, as peers, as coaches, as facilitators, and as learners in a formal space with specifically designed goals. That ‘coming together’ is not lecture. Lecture can be delivered via so many other modern edtech tools, like video, eLearning, or podcasts. This ‘together time’ encourages learning at a deeper level through discussion, practice, and collaborating. It is important to note that a discussion about the modern virtual classroom should not be about technology. Rather, we should focus on experiences and learning environments. Teaching and learning is fundamentally about people, so that is where the focus should be. This is not the old stand-alone webinar, talk for an hour and hope everyone stays awake experience. To be successful, you need to develop modern skills that take you well away from the point and click, and towards facilitating the learning so the formal, directed learning in the virtual classroom integrates into the more comprehensive learning experience. Create human connections in a virtual learning environment. 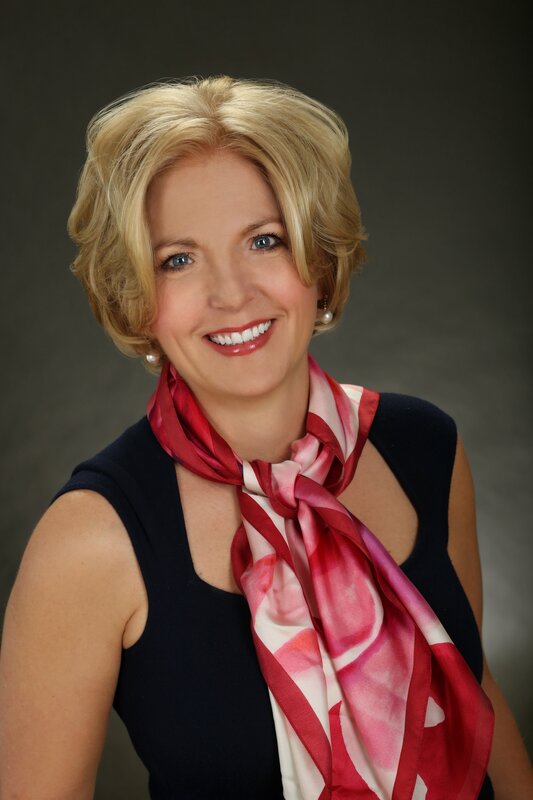 Become competent in the skills and behaviors needed to succeed. Ensure you are ready, willing, and enabled to facilitate a virtual lesson. Keep your learners engaged throughout the experience. Don't forget, though, the virtual classroom is only one piece of the larger blended learning experience. Yes, it's ability to build connections, encourage collaboration, and cover content at a deep level is essential to successful modern learning. But there are other elements critical to an effective blend. No longer is the ‘live experience the best experience.’ It just piece of the larger whole. Success in the virtual classroom is about personal readiness and organizational enablement. And not just for Facilitators. The instructional team also includes Producers, learners, SMEs, and managers. Next week, we’ll discuss how to partner with your Producer to become a true instructional team. Article: Are You Meeting All Five Moments of Learning Need? (Conrad Gottfredson, Bob Mosher) I go back to this article repeatedly! It’s so important to the design of modern blended learning to remind ourselves when learners need a piece of content, and to embed that content in the right place in an accessible way. 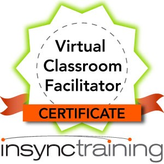 Build your skills by participating in an immersive blended learning experience by enrolling in InSync Training’s Virtual Classroom Facilitator Certificate.